Botanicals are a bold, beautiful way to bring nature into any space in your home. 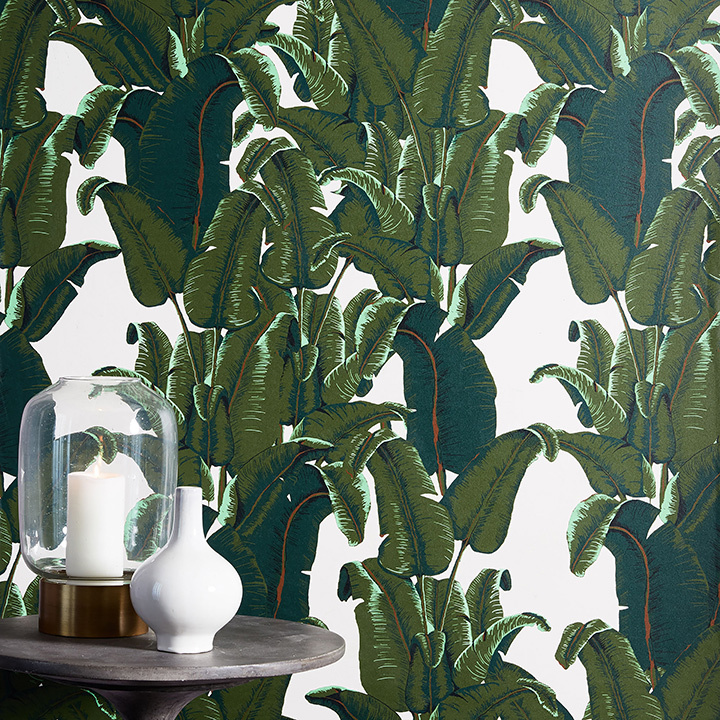 1) Banana leaf print mural wallpaper, available at West Elm. 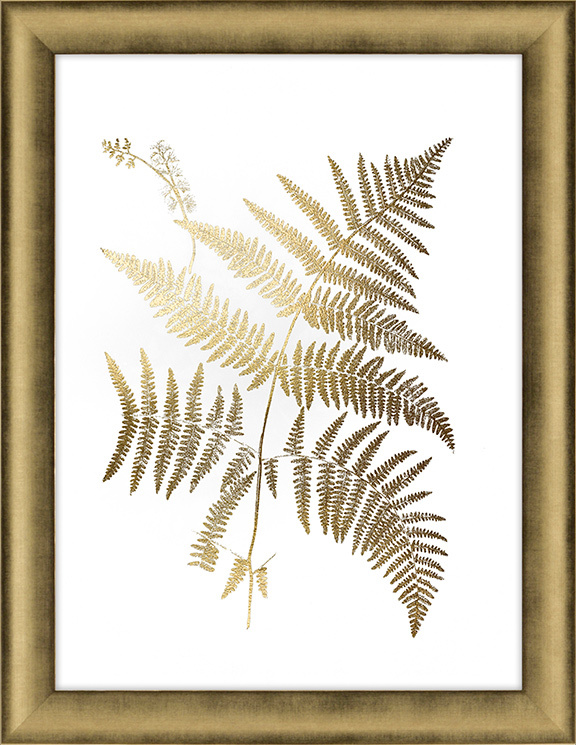 2) Gold foil fern, available at The Gifted Gardener. 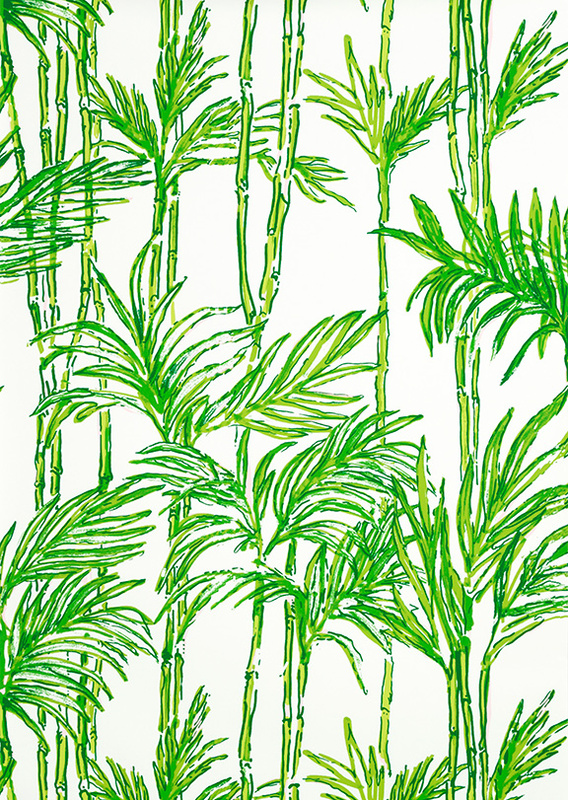 3) Big bam wallpaper in tesort white, by Lilly Pulitzer II at Lee Jofa, available at KDR Designer Showrooms. 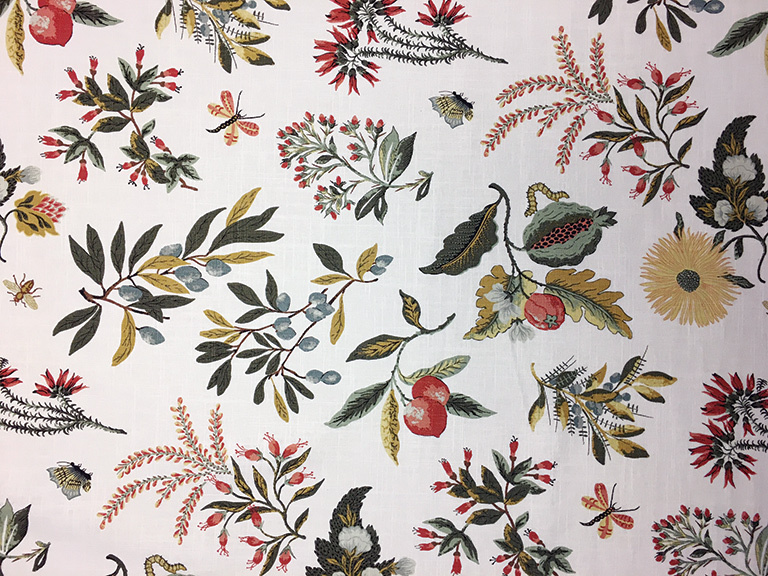 4) Fleur botanical in botanical, by Fabricut, available at LuLu Belles Fabrics. 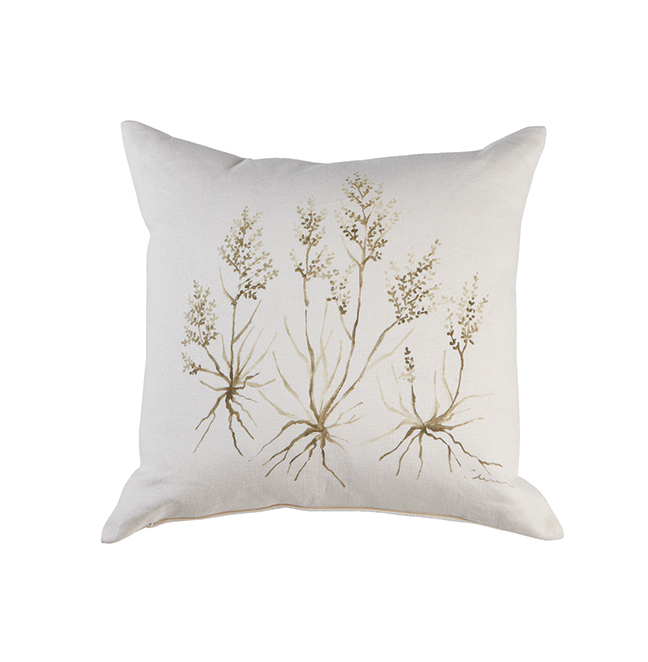 5) Neutral botanical hand-painted pillow, available at Ethan Allen. 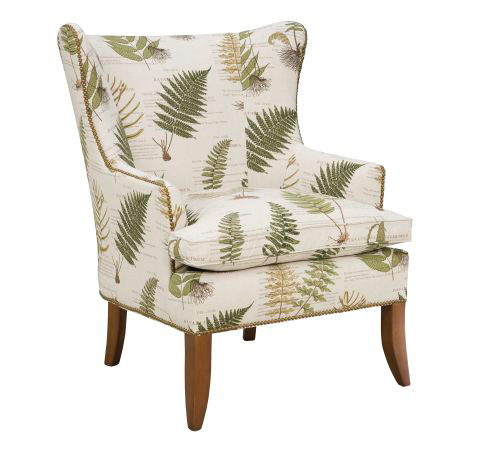 6) Botanical wing chair, available at Amini's. 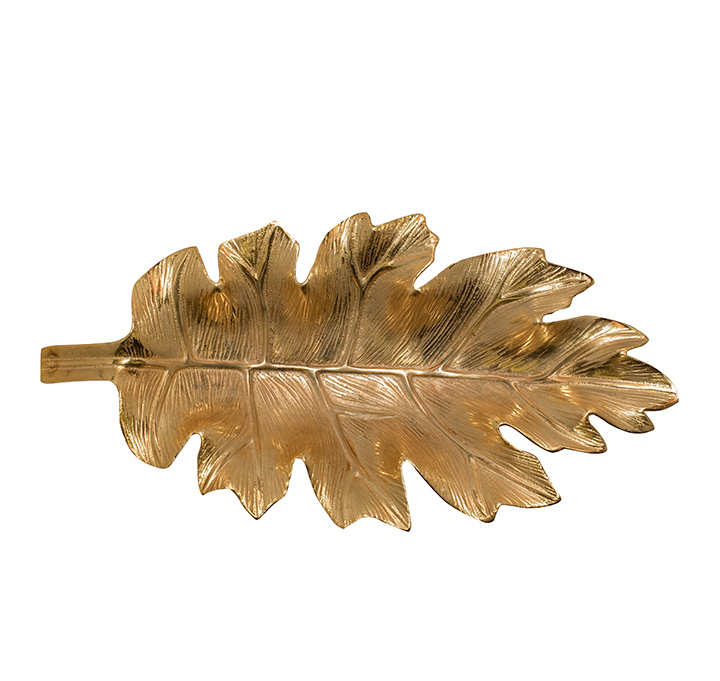 7) Gold leaf tray, available at The Rusted Chandelier. 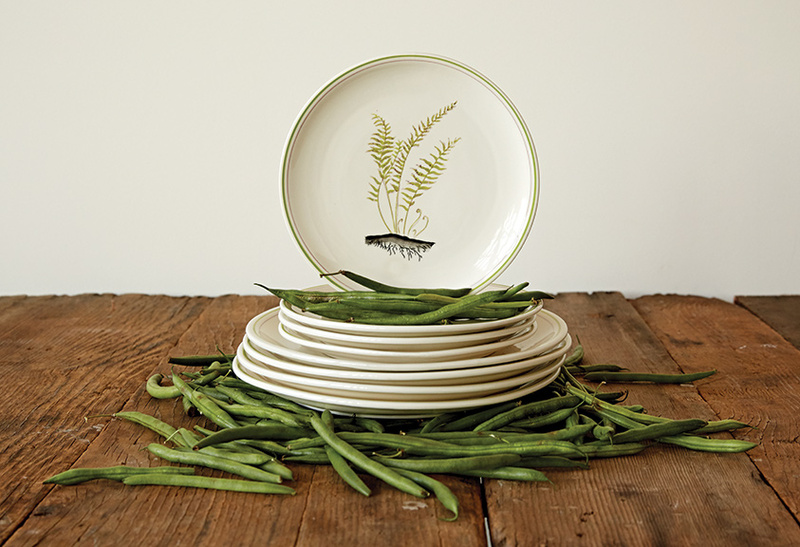 8) Hand-painted stonewear plates with ferns, available at The White Rabbit. Botanicals are a bold, beautiful way to bring nature into any space in your home. The lush leafy designs can be incorporated in fabrics, wallpaper, furniture, lighting and accessories for a more modern take on traditional florals. Let the outdoors come inside.